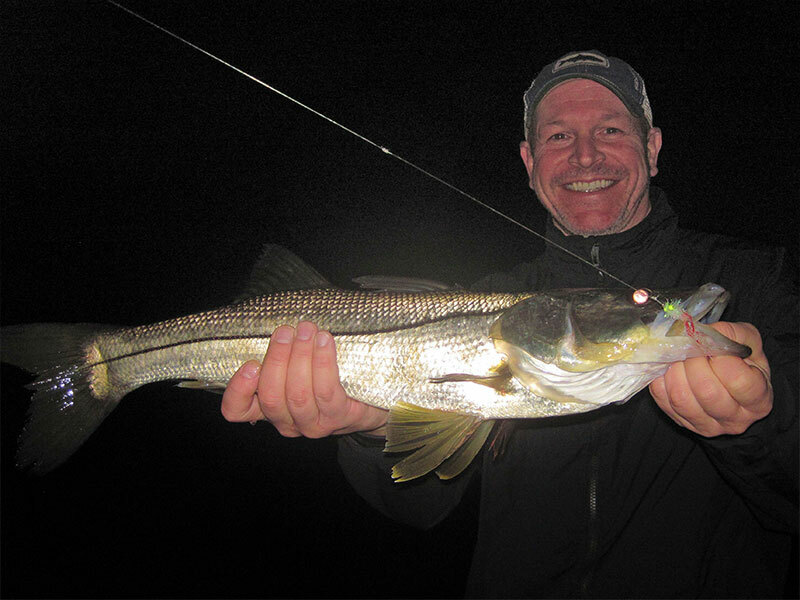 Fly anglers fishing with me, out of CB’s Saltwater Outfitters on Siesta Key, had fast action catching and releasing snook and hefty blues on flies in the ICW at night recently. 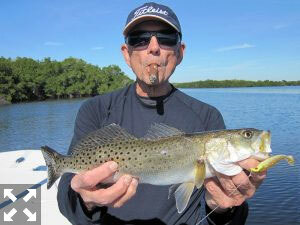 Spin fishing anglers also had some action with reds and trout on DOA Lures in Gasparilla Sound. 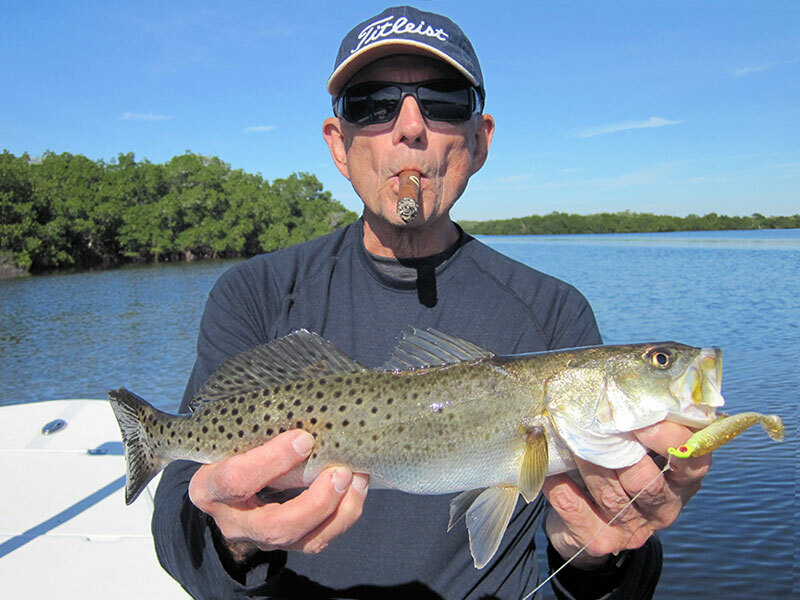 Hal D'Orazio with a trout he caught and released. Hal D’Orazio and Keith McClintock, both from IL, fished Gasparilla Sound near Boca Grande with me one day. The water was cold, behind a front and action was slow to start. It warmed enough in the afternoon for them to catch and release a couple of small reds and trout on CAL jigs with shad tails. 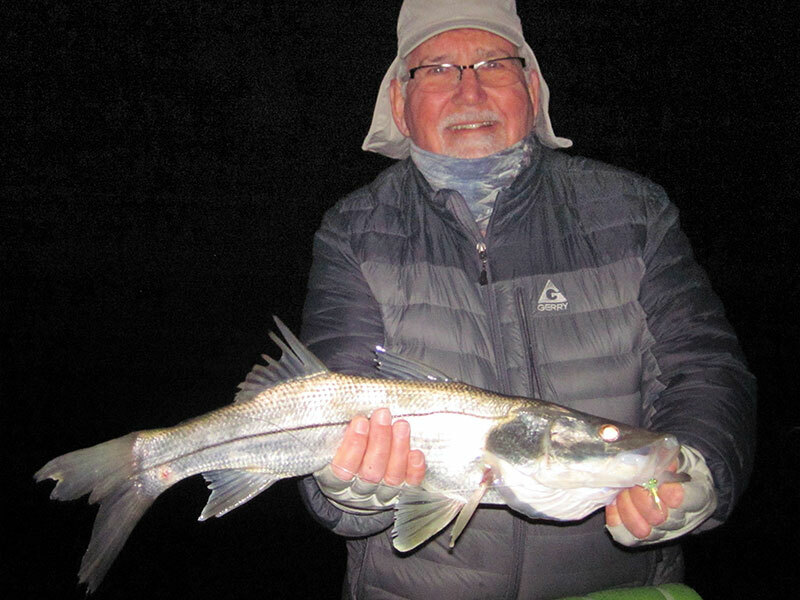 Jerry Poslusny, from Palmetto and Rich Hunter, from Longboat Key, fished the ICW at night for snook on a trip with me recently. 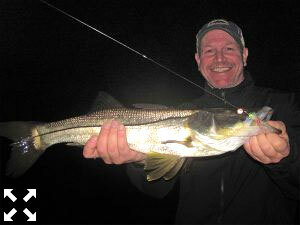 They had their personal best trip catching and releasing snook and bluefish to 5-lbs on my Grassett Snook Minnow fly. Fishing dock lights in the evening is usually a good option for catch and release snook fishing this time of year, although it is dependent on tide and conditions. Tim Hearon with a snook caught and released on a fly. Tim Hearon, from Siesta Key, and Martin Marlowe, from NY, also got in on the action. 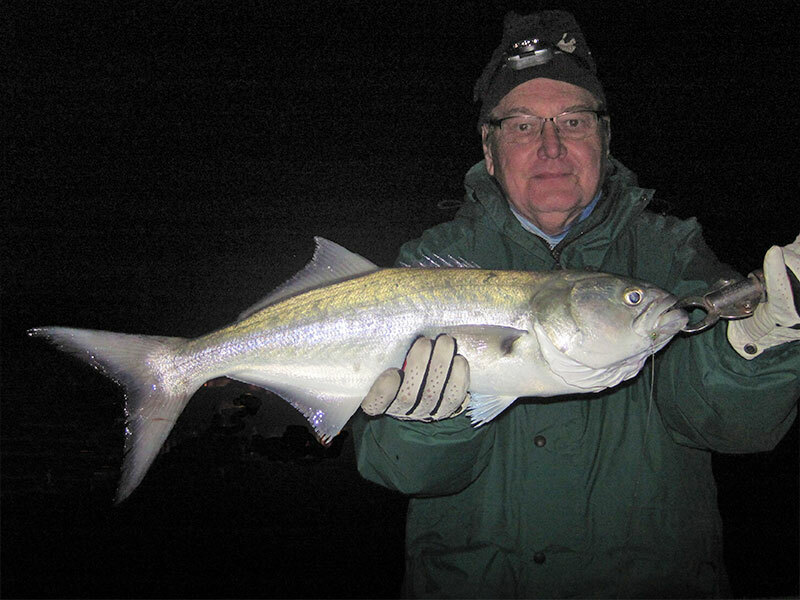 They also caught and released numerous snook and nice blues on the same fly on another trip. Great action and the blues are a welcome addition since they fight as hard as or harder than snook of the same size! Fishing shallow flats are both challenging and rewarding. It usually requires fishing hard to find and catch fish. You may not catch big numbers of fish but you may catch some good ones. Our natural resources are under constant pressure from red tides fueled by agricultural and residential runoff, freezes, increasing fishing pressure and habitat loss and degradation, please limit your kill, don’t kill your limit!